A new spot to score ice cream and and more has opened for business in the neighborhood. Located at 10064 Long Point Rd. 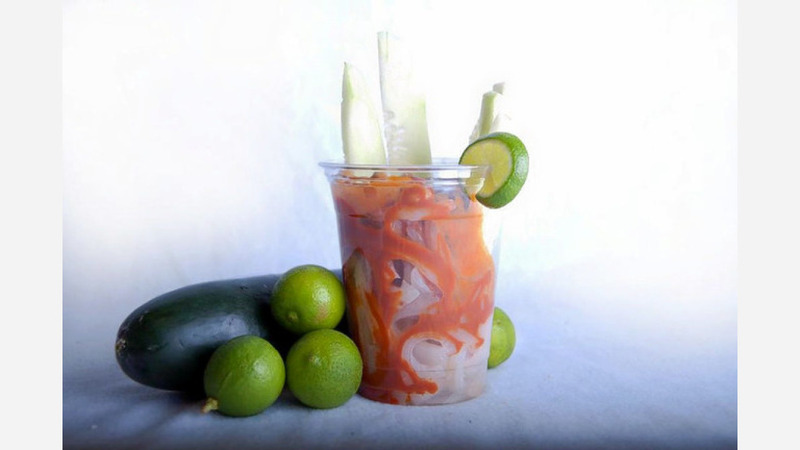 in Northwest Houston, the fresh addition is called Ay Jalisco Paleteria. This newcomer features Mexican desserts and snacks like ice cream and popsicles made with fresh fruit, apples topped with tamarind and candies, and fresh green juices and smoothies. If you're in the mood for something a little different, there are offerings like Flamin' Hot Cheetos topped with nacho cheese and elote, Mexican-style grilled corn with mayo, butter and chili. Ay Jalisco Paleteria has gotten an enthusiastic response thus far, with a five-star rating out of two reviews on Yelp. Eustolio M., who was among the first Yelpers to review the new spot on March 24th, said, "Finally, an authentic Mexican paleteria! Friendly staff and great taste. We had an elote, ice cream and mangonada." Yelper Athenapex C. added, "Yummy...just noticed this cute shop next door to tostada and it is autentico. Fresh fruit pops and ice cream. $3.50 for two scoops and a waffle cone." Ay Jalisco Paleteria is now open at 10064 Long Point Rd., so stop in to try it for yourself.